In just under five hours at the final table, Gregory Wood captured the title of the Heartland Poker Tour Lawrenceburg $1,100 Main Event. In his third HPT final table of the year, and fifth overall, Wood defeated George Janssen heads-up to take home the $119,101 first-place prize. 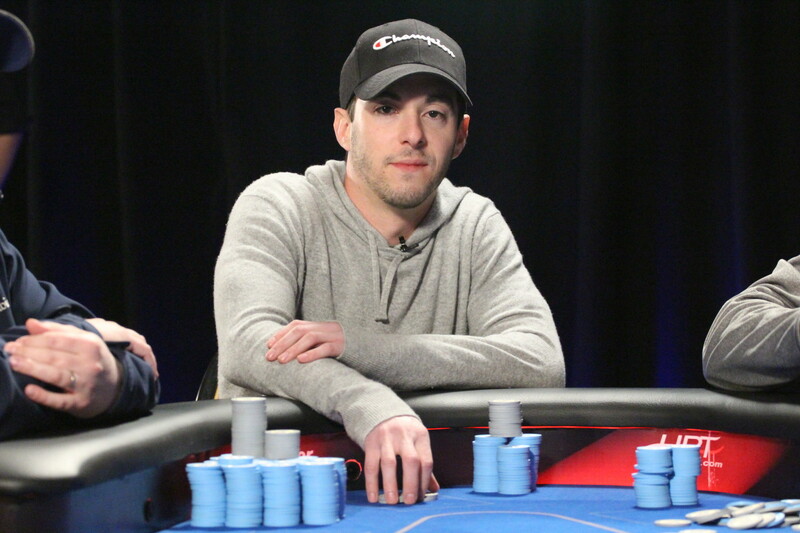 While Janssen came into the final table as the overwhelming chipleader, it was Wood who did most of the damage by claiming three eliminations. Janssen took the early lead in heads-up play, but back-to-back key value bets from Wood propelled him into a massive lead. In the last hand of the tournament, Janssen got his nine big blind stack in the middle with king-jack against Wood's seven-five of hearts. Wood picked up a five on the flop and held on wrap things up in a timely manner. As mentioned, this is Wood's third HPT final table of the year so far, finishing in eighth and ninth places previously. He had just over $100,000 in career earnings coming into the HPT Lawrenceburg and now he will more than double his lifetime earnings. 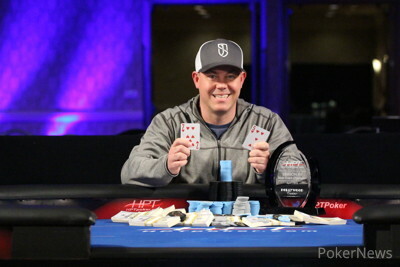 Wood also picked up the $3,500 HPT Championship package that will take place a to be determined location later this year. Wood plans on continuing to make a presence at most of the stops on the HPT throughout the rest of the year. He also indicated that he would like to take his family on a trip to Europe with his newly found wad of cash. As for Janssen, he only had two recorded cashes on his poker resume, both coming in his home state of Michigan. Unfortunately, things didn't quite go his way once he reached heads-up. "I made a few light calls but it was still a huge success for me," he said. "Once you get this far in the tournament you just have to enjoy it." He mentioned that he is still pleased with the result as he will be pocketing $73,573 for his efforts. The final table kicked off with nine players returning to the felt and Mike Shin started out as the short stack. He managed to nearly double his chips in the first orbit, but he soon found himself all in with ace-queen against Joey Hiudt's pocket nines. Shin was unable to connect with the board and became the first elimination in ninth place. Angela Shade was the only lady to reach the final table but she also found herself on the short stack not long after. Shade got the last of her chips in the middle in a three-way all in against Ian Richardson and Janssen. Unfortunately, she held the same cards as Janssen and despite flopping a flush draw, was unable to improve, sending the pot to Richardson who had the only pair. After the first break of the day, Donald Kalb returned with just over five big blinds and got his chips in the middle with ace-ten. Douglas Songer woke up with pocket tens and Kalb was drawing to just three outs. A queen-high board was no good for Kalb and he was ousted in seventh place. It was a quick turn of events for Songer who ran ace-queen into Wood's pocket queens and then put his short stack in the middle in the next hand with two small live cards. Janssen looked him up with ace-high and Songer missed the board completely to bow out in sixth place. 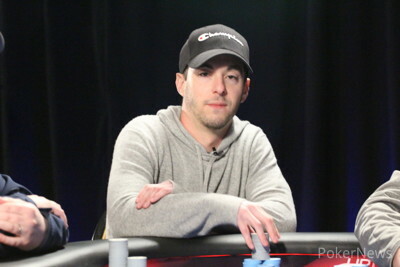 Gary Breslauer remained fairly quiet for most of the final table but still managed to gather some chips and ladder his way up the paytable. He eventually decided to turn second pair into a bluff on the river but he was picked off by the two pair of Wood. Breslauer headed to the payout desk in fifth place good for nearly $25,000. With just four players remaining, Richardson was playing some sound poker and was looking to build his stack even further when he called Hiudt's all in. Hiudt held ace-nine and was dominated by Richardson's ace-ten; however, a nine on the flop gave Hiudt a big double up. Richardson fell to the short stack and finally found a spot to get it all on after flopping an open-ended straight draw. Wood trapped him with a pair of kings and Richardson was unable to catch up on the turn or river. The final three players went on their second break of the day and Hiudt returned as the chip leader after dragging in some healthy pots. However, the tides turned in a hurry when he lost multiple three-bet pots to Wood. With Hiudt on the short stack, he flopped top pair against Janssen's middle pair. All the chips went in on the turn when Janssen made trips and Hiudt walked away in third place for $48,219. That led to the heads-up battle between Wood and Janssen with the trophy and a big payday on the line. That wraps up the PokerNews coverage from Hollywood Casino Lawrenceburg. The next HPT stop will take place at Pittsburgh's The Meadows Racetrack and Casino from April 11-15. Click here for more information about that event. Gregory Wood shipped all in on the button with and George Janssen made the call for his last 2,300,000 with . Janssen's tournament life was on the line while Wood was looking to take the title with two live cards. The flop came to give Wood the lead with a pair of fives. The on the turn left Janssen drawing to a king or a jack. The river brought the and Janssen whiffed on everything to be eliminated in second place. Gregory Wood opened to 450,000 on the button with and George Janssen called from the big blind with . The flop came and both players checked to the on the turn. Janssen checked again and Wood tossed in a bet of 550,000 with the best hand. Janssen called with a smaller pair and the paired the board on the river. Janssen checked one more time and Wood announced a bet of 1,300,000. Janssen made the call again and Wood stacked up a massive chip lead. George Janssen raised to 500,000 on the button with and Gregory Wood defended from the big blind with . The flop came and Wood checked to Janssen who continued for 475,000. Wood wasn't going anywhere with his top pair and called to see the on the turn. Both players checked and the completed the board. Wood led out for a pot-sized bet of 1,600,000 and Janssen thought for a couple of minutes before making the call. Wood scooped a massive pot to take over the chip lead. Gregory Wood raised to 450,000 on the button with and George Janssen defended from the big blind with . The flop came and both players checked to the on the turn. George Janssen raised to 400,000 on the button with and Joey Hiudt called with in the small blind. Gregory Wood also came along from the big blind with and the flop came . Hiudt led out for 550,000 with top pair and Wood got out of the way while Janssen called with a pair of fives. The turn brought the and Hiudt shoved all in for 2,295,000. Janssen made a quick call after making the best hand and Hiudt couldn't believe what he saw. Hiudt was drawing to just two outs and the on the river was not one of them. Hiudt exited the tournament in third place but will still take home nearly $50,000 for his efforts today. The final two players are taking a quick break while the table is prepared for heads-up play. 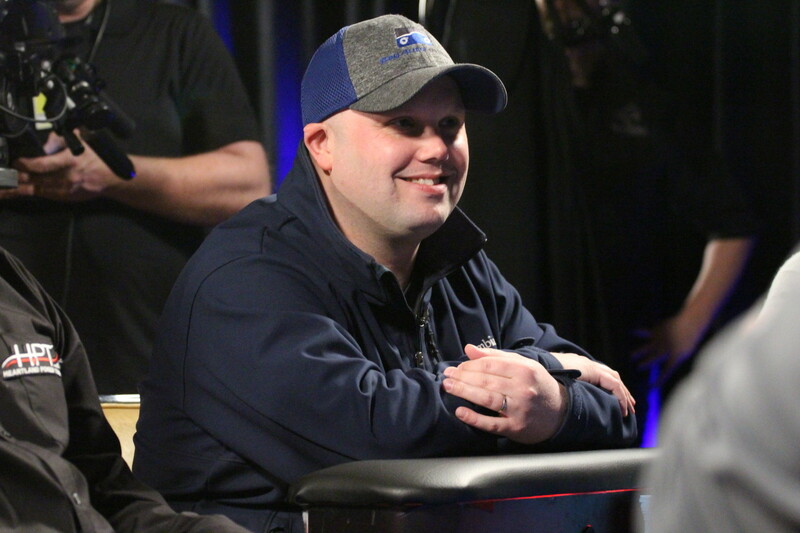 Joey Hiudt made it 380,000 in the small blind with and Gregory Wood stuck in a three-bet to 1,300,000 from the big blind with . Hiudt called and the flop fell . Hiudt checked to Wood who continued for 875,000 with his rags. Hiudt flopped a straight draw but flicked his cards to the muck, allowing Wood to scoop the pot.